Journalists from fact-checking organisations across the world gathered at City University London for the second Global Fact-Checking Summit. The two-day conference saw leading experts discuss new developments in the rapidly growing profession, which aims to assess the accuracy of claims made by public figures and media outlets. According to The Poynter Institute, which organised the event alongside Duke University, the number of online fact-checking groups has increased from 44 to 64 in the past year. 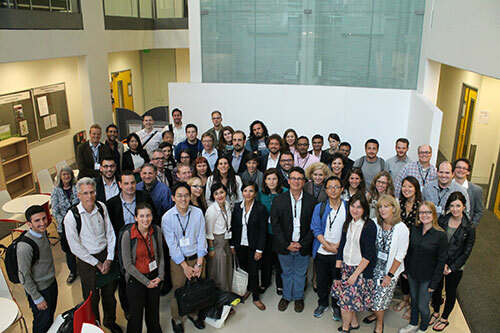 With participants from 31 countries visiting London for the 2015 summit, City’s Professor Jane Singer described the event as “inspirational”. Among the speakers was Adam Chodikoff, a Senior Producer on the US news satire television programme The Daily Show. The researcher gave an overview of his 19 years on the production, during which time he has provided the “factual firepower” for the jokes of the show’s host Jon Stewart. His talk touched on many of the key themes of the summit, with Mr Chodikoff explaining that while the programme was primarily a comedy show, it also aimed to question the truth behind statements and statistics heard in the media. “I’ve often said that I want written on my gravestone, ‘without credibility, the jokes have no meaning’,” he said. Conference co-organiser Professor Bill Adair, founder of the Pulitzer Prize-winning website PolitiFact, discussed the potential of new fact-checking technology. The academic, who is Knight Professor of the Practice of Journalism and Public Policy at Duke University, explained that systems were being developed to gather and analyse claims by public bodies and individuals. He said prototypes had shown “great promise” as he outlined his vision for creating applications that send fact-check “pop-ups” to users as they come across incorrect or misleading statements in online articles and video advertisements. “I have become a big believer that computational power can really help us do our jobs as fact-checking journalists,” he said. The academic predicted an “arms race” would emerge in the coming years between fact-checking organisations that develop new apps for the public and others who find that their online material contains inaccurate statements. Professor Adair also admitted that such developments would require vast databases of information and called on the fact-checking community to work together to standardise their outputs to allow new tools to be built. 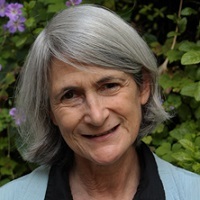 Following the event, which took place on Thursday 23rd and Friday 24th July, Professor Jane Singer explained the importance of fact-checking journalism. “It was absolutely wonderful to have so many fact-checkers from all over the world gathered here at City,” said the academic, who helped to host the summit alongside Professor Adair and Andrew DeLong, of The Poynter Institute. “Just a few years ago, there were only a small handful of news organizations focused on documenting and publicising the veracity of statements by political candidates and government officials. Now they filled the room – dozens and dozens of committed people from Ukraine to Uruguay, Korea to Croatia. The first summit took place in 2014 at the London School of Economics.